Today is the 31st day of my simple meditations. I’m sitting in a Mariposa Bakery with my friend Andrew drinking coffee and working for the day. I’ve been in Boston since July 21st and so far, the trip’s been a good one. As I sit here, I’m in awe as I think about how my discipline has been tested the last month. Sitting still is not easy, at least not for me as you might know from my last post. 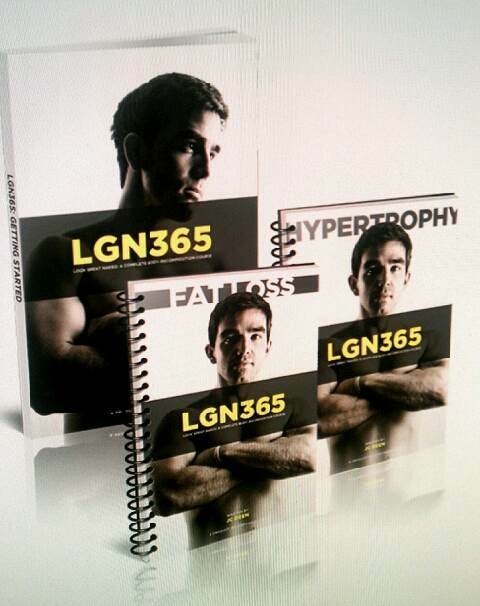 I had a chat with Leo Babauta a few weeks ago when I was filming an interview for my soon-to-be-released fitness product titled LGN365: A Complete Body-Recomposition Course. LGN stands for ‘Look Great Naked’ but the image is a bit small to see it in the subtitle. Here’s a sneak-peek of the cover art. Here’s something that will help you tremendously if you’re serious about creating this new habit of meditation (or any habit, for that matter). I didn’t even use triggers, but if I did, I think I would’ve gotten more out of my practice. To put it simply, a trigger always precedes a habit. For a smoker, they usually have a trigger that makes them say ‘I need a cigarette.’ This could be (as Leo stated in the interview) his feeling of being full – it always prompted him to go outside and have a smoke. If you set up a trigger, you will be much more likely to stick with your practice. For me, now that I’m aware of these triggers, I’m going to simply sit and meditate after I finish my first cup of coffee. In this case, my trigger is finishing my first cup of coffee. 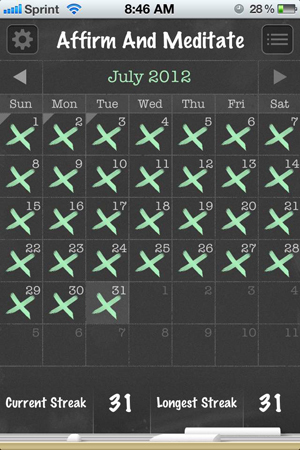 This entire month, I was simply meditating at random times during the day. Heck, I even meditated on the train yesterday as an experiment. I found myself being able to ease out of the distractions, but the idea of people staring at me with my eyes closed was a bit unnerving. Now that I’ve given you some info about triggers, I need to reflect a bit and share some things I’ve learned. I can’t say that I’m ‘cured’ in the sense that I no longer struggle with distractions or that I can work for hours on end without getting anxious, but I do notice a difference. I’ve been working with a much deeper focus than before, and it couldn’t have come at a better time. For the month of June, and July, I’ve been working endlessly to finish my fitness course to be released in mid-August. I’ve spent a lot of time editing copy, editing video, conducting interviews, writing sales copy, coding sales pages, and working with the editor/designer I’ve hired to help me finish. That’s the main reason I haven’t posted anything new at JCDFitness in a while. However, the dry spell will end soon – next week in fact. I am no longer freaked out about my work. 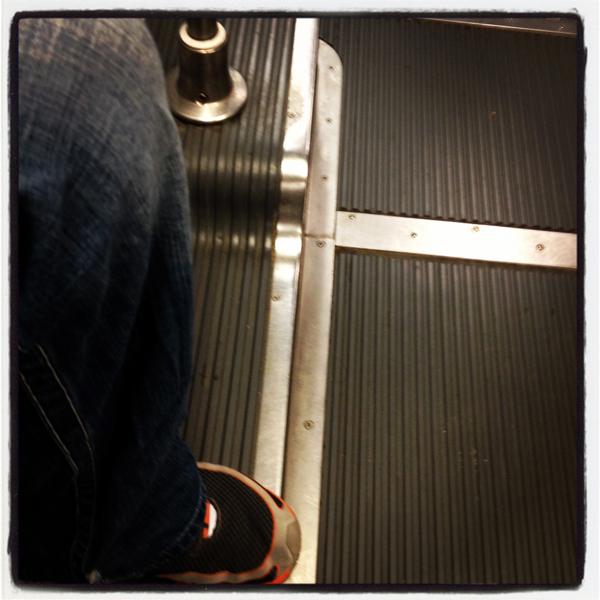 Instead, I’m sitting down daily, with tasks I’ve laid out for myself, and just… going to work. Taking it one bite at a time, so to speak, and knocking it out. I’ve not experienced this much joy with my work in a very long time. I attribute this to the quieting of my mind on a daily basis. I no longer see this work as being daunting and impossible. It’s the greatest feeling in the world. Peace – I believe I’m on my way to finding it. All you really need is to just sit and count your breaths, but having some tools/reminders at first can help you. What he’s essentially saying is the hardest part you have to tackle is just starting. Much like many other things, it gets much easier after you start. You need to be forgiving – of yourself, and of others. It’s highly likely that you’re going to forget to meditate the first few days. That’s okay and not the end of the world. The most important part of this is consistency, so make sure to create a trigger (as mentioned above) so that you get into a daily habit. You’ll also be interrupted at times – either you’ll get a call, or your spouse will walk in on you (awkward). Your dog might come sit in your lap. Be forgiving of the mishaps that come along. Don’t get all upset and bothered – just accept it, and continue. If you can’t continue at that moment, make a note in your phone or set a reminder to pick up later that day – maybe even before you hit the sack. A few ways I combat this is by turning my phone on airplane mode. This way I can’t get any calls, but my timer will still function. Another thing I do, especially right now while I’m sharing a room with someone is I’ll either meditate before she gets up, or wait until she leaves for work. When I’m home in Nashville, I don’t have to worry about this as I have my own room, etc. The point is I’m making this work, no matter what. I need positive change in my life, and I’m set to get it. Please join me in the 30-day challenge for my birthday month. I’ve already done my 30 days. If I can do it, everyone is capable of it. I’m one of the most ADD peeps you’re ever gonna meet. I’m here for you – so if you have questions/need anything, just drop them in the comments. Also, if you wanna do some public accountability stuff, we can go to Twitter and create a #hashtag specific to our group. It really doesn’t matter to me – I’ll leave that up to you. My bet is that you don’t want to have regrets. I know I don’t. But here’s the reality. I’m only asking for 5 minutes of your day, not an hour, or even one day per week. I’m asking you for 5 minutes. If you have any remote interest in meditation or learning more about yourself, you owe this to yourself. If you say “I don’t have 5 minutes,” then you need to assess your living situation and then be honest in saying that you’re lying to yourself. So c’mon. Let’s do this – together. I’m in your corner. If we don’t take action now, we’ll settle for nothing later. Here’s to clarity and productivity. man…this is fantastic. i’ SO IN! going through some things in my life now, and this may help me regain focus. i like it. i am going to use #54me (as in Five For Me) as a hashtag. One of the coolest “tricks” I’ve found for meditation and clearing the head of racing thoughts is to “watch” for what thought is going to come up next. You don’t even need to have your eyes closed or anything, just actively be looking for the next thought to pop up. What ends up happening is, ironically, if you’re trying to see what thought is going to happen next the mind just sort of clears itself and nothing usually comes up. When you do notice a thought, you simply observe it and try to watch for the next thought. Eventually you’re left with a quiet mind and this usually happens pretty quick. Seth and I are in! I’m glad that your experience has been that meditation has resulted in some desirable outcomes. The effects of mediation for you have been especially impressive because they emerged at such a challenging time. Anything that can ameliorate the stress faced when putting the final touches on a project like yours is a worthwhile practice. Your experiential evidence is congruent with the results of hundreds of empirical studies that show mindfulness meditation results in positive psychological and physiological effects. There are even scientific studies demonstrating that meditation enhances brain functioning. I think your meditation challenge is a first-rate idea. Count me in. You and others with expertise in fitness and health know the value of commitment and support. I think your suggestion to form an online group to devote a month to meditation represents a solid application of these fitness values. In addition to sitting meditation, part of the challenge for a month could be to apply mindfulness for a specified period to one of your daily activities. You could mindfully shower; walk your dog; make lunch; mow the lawn; and so on. Start off by doing part of the activity mindfully. Add more time, if you wish. Applying mindfulness to activities other than formal meditation (sitting and observing your thoughts) is called informal meditation or work meditation. The idea is to take what you have learned by simply sitting and watching your thoughts and generalizing it to other areas of your life. After all, one of the purposes in establishing a mindfulness meditation practice is to expand it to our entire lives. A mindful life is a life of doing everything in the present, which is the only place you can be. It’s being in the moment, moment after moment. In my opinion, one of the most important pieces of advice you give is on forgiveness. Dwelling on minor disruptions and interruptions in your practice can amplify into major impediments. As an aside, anyone who can’t excuse their dog for interfering with their meditation is too callous and unfeeling to be allowed to meditate. If you see anyone meditating who is expressing anything less than unconditional love for their dog, spiritually enlightened teachers invariably recommend that you mindfully knock them off their meditation cushion; get them into an arm bar while paying full attention to what you are doing; and apply pressure with complete awareness. If you really think it necessary, you can forgive yourself for doing this. When I read your description of the technique of anticipating without form or content what’s coming up, I thought it had a lot of promise. I tested it today when I was doing walking mediation in the woods with my dog. I found it to be an effective technique. I should note that even when thoughts of assessing the technique while I was practicing it arose, it was helpful. For the most part, I was able to wait to after using the technique to evaluate it. When walking, just walk. When evaluating, just evaluate.